The first thing I did when I was researching Croatia for our trip over the summer was to identify where in Croatia we wanted to go, and how we would get there. Croatia is actually quite spread out for such a small country, so the next challenge was figuring out where to stay, and how to get in between places. After loads of research, I determined that we wanted to spend the majority of our time in Split, with at least one night in Dubrovnik. Split was a good jumping off point for the tours and sites we wanted to visit - specifically, Plitvice Lakes, and a boat tour of the Dalmatian coast and islands. Next was researching methods of transportation within the country: trains, buses, renting a car, and ferries. Normally, we would utilize a rental car for a country that is fairly spread out (ex: Portugal!). However, we had a pretty limited amount of time in Croatia - only 5 days - and were planning on doing a guided tour to the lakes, and also a boat tour. Plus, the areas we wanted to stay in both Split and Dubrovnik are largely pedestrian, or with very limited (or expensive) parking. And, the highways in Croatia have some pretty hefty tolls - anywhere between 5€ and 25€ per trip. We were only in Dubrovnik for 24 hours or so, and again, were planning on doing walking tours the entire time, so a car didn't quite make sense for this trip. If renting a car makes sense for you, a 5 day rental from Split in July of 2017 will run you about $165 for a manual transmission or $240 for an automatic transmission. Shop around, and don't forget to ask about tolls when you are picking up your car! It turns out that Croatia's trains don't run along the coast, which is where we ultimately wanted to visit. In fact, the trains in Croatia in general are not very fast or frequent. The trains do run between some of the interior cities, and there's a twice daily train from Zagreb to Split, but it takes about 6 or 7 hours. That's a lot of precious vacation time to get in between places! The state run ferry, Jadrolinija, has lots of ferry routes. In addition, there are some fast catamaran and trimaran boats as well. These ferries are actually great options, but they can sometimes be a bit pricier than the slower ones. 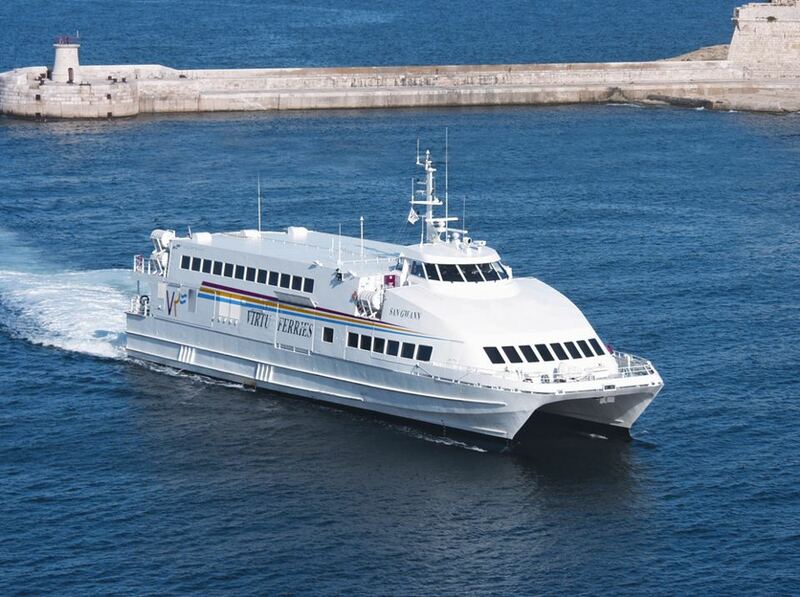 Visit Croatia has a very helpful post about Croatian ferries - it details many of the companies operating within Croatia and where they travel. There's also a very comprehensive website called Croatia Ferries with some great ferry information, including timetables and ticket prices. TRAVEL TIP: Most of the routes only run once a day, or sometimes just once a couple of times per week, so be sure to plan ahead when using the ferries! The ferry from Split to Dubrovnik leaves at 7:30am every morning during high season, but if you miss it, it'll be another 24 hours before the next one! Also - arrive early. Our 7:30am ferry left at 7:25am, and by 7:15am seating was incredibly limited. Buses really seem to be the way to go when traveling within Croatia. They're usually the cheapest option, and during the summer, there seem to be very frequent departures. For example, the bus from Split to Dubrovnik is about 15€, and there are 25 departures per day. In addition to the public buses, there are lots of tours that are one way - for example, you can take a tour (like this one) from Zagreb to Plitvice Lakes and end in Split, or vice versa. Keep these options in mind if you're looking at day tours as well! Finally, I checked into flights. Zagreb, Split, and Dubrovnik are the airports in Croatia with the most frequent flights in from European locations. Zagreb, the capital, has the most flights, but Dubrovnik, arguably the most popular, is usually the most expensive. TRAVEL TIP: If you drive between Split and Dubrovnik, you will pass through Bosnia & Herzegovina by Neum, so make sure you have your passport with you! The ferry does not require a passport check. For our trip, we ended up booking round trip flights from Vienna - flying into Split via a 4 hour layover in Zagreb, then out of Dubrovnik. We used the ferry to get between Split and Dubrovnik, mostly because we really like boats, and wanted to see some of the islands along the way. This combination worked for us, due to the time we wanted to spend in Split and Dubrovnik! TRAVEL TIP: If you're traveling in the high tourist season, PLAN AHEAD. The ferries particularly need a bit of extra planning - there are a lot of people moving around, and seats can sell out if you wait too long to buy tickets! The next time we visit Croatia, we will most likely utilize the bus system, or, depending on how long we'll be there, rent a car so we aren't restricted to larger cities. No matter how you get around it, Croatia is very worth exploring!